When we think about all the living rooms that we’ve been into, it’s kinda rare to see a living room that focuses more on the black color. They say black is a color for mourning, for death or even Halloweens, and not really for living rooms. 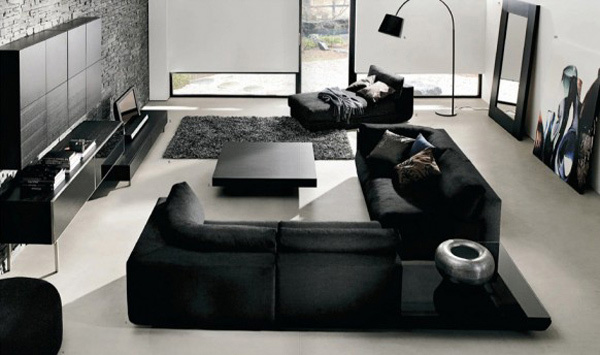 But hey, black is a favorite color for modern and contemporary furniture and decors. That’s kinda odd, don’t you think? 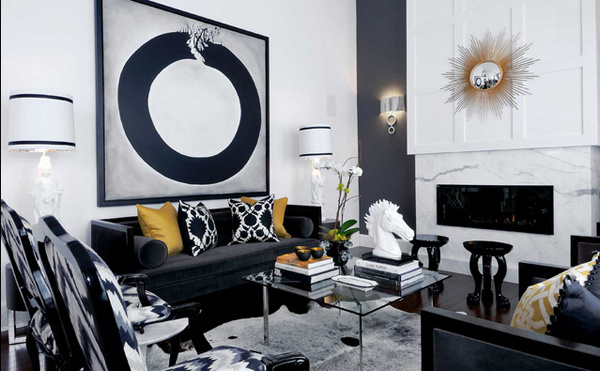 The next 15 Stunning Living Rooms with Black Motifs will show us how much black is loved by designers and decorators, old or new, traditional or modern. 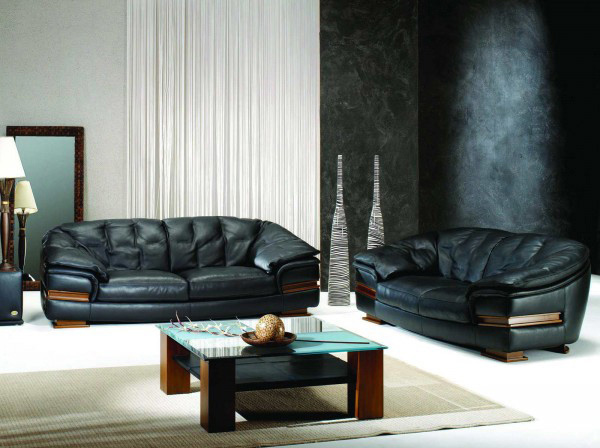 The collection that we have range from black accent walls, black furniture and decor and black lighting fixtures! Take a tour at our collection, here they are. Look at how stunning this first sample that we have. The wallpaper was specially made for this space – it sure looks gorgeous, along with the furniture. Look at the small trimming of black in this living room! From furniture to pillows, from wall decors to the fireplace. 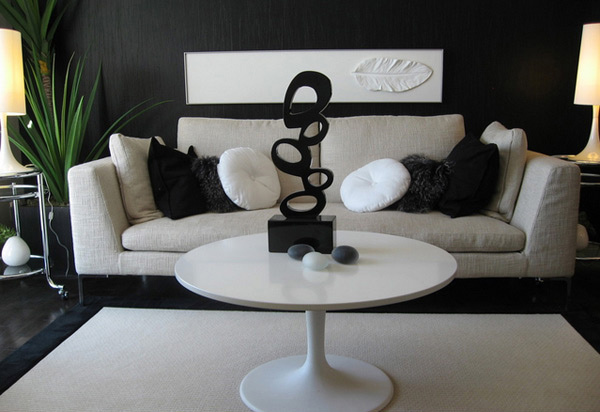 Kelly Hoppen sure did a great job in mixin’ and matching this living space. We love how the black seating matched the printed tan accent chair. 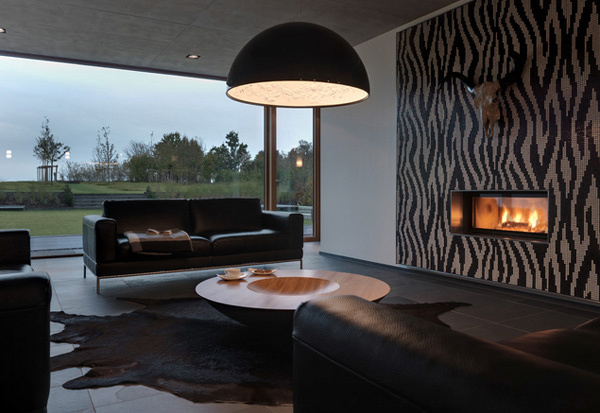 How would you like having the pretty piece above the fireplace? We love the picture of Marilyn Monroe as a wall decor placed by the window where we can see a familiar skyscraper – do you recall what that is? The way the designer played with the colors black and white sure looks fantastic! 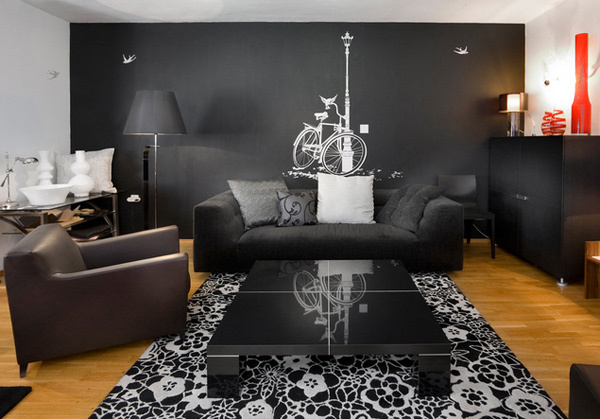 Although the sofa is a bit tan already, it definitely stands out because of the black wall. We definitely love living rooms like this that has a panoramic view of whatever view the place has to offer. Just like this one, the background sure looks like a fascinating garden. We love the striped walls that match the colors of the cute shell chairs. How would you like going home to a room like this? The entire is almost black except for the walls and floor! Although this room is pretty much close to modern living, we hope there was more colors. Do you like the black wooden panels behind the television? It’s nice because it gives a bit of oriental feel to this living room! This bulky furniture is a rare find, many owners who pick furniture like this one prefer comfort than the aesthetic value of the material. But one thing’s for sure, that set is expensive and stylish! Who does not know the symbols of yin and yang? This room sure looks great with the wall treatment done with it. We also love the chandelier added to the room! The wall treatment of this living room sure is stunning because of the lighting technique rendered. 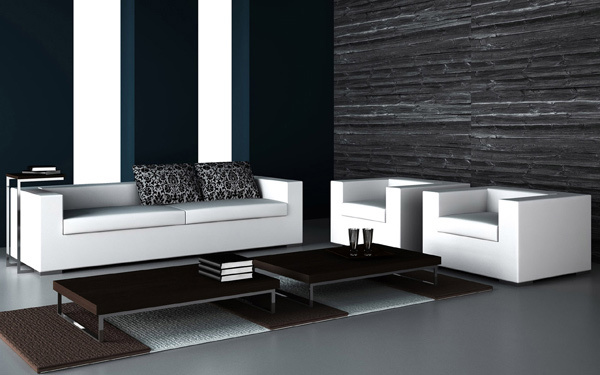 The living room set may be rectangular, but it sure looks pretty and comfy! This living room is a work of art! A lot of things are happening on the walls. Unique wall treatments along with great lighting plus art of some sort on one side! An interesting room indeed! How dark can one living room be? This is definitely one example that lives up to the way of the dark! 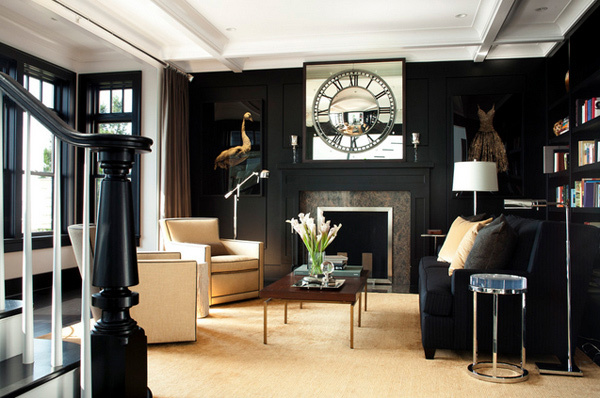 Great shade of black in all aspects of the living room which makes it fab and glam! Did you like the collection that we have showed you guys? Because we did! This collection is that last for this week since weekends are coming up! See you next week guys! Check out our living room designs with yellow accent and tell us what you think about them! 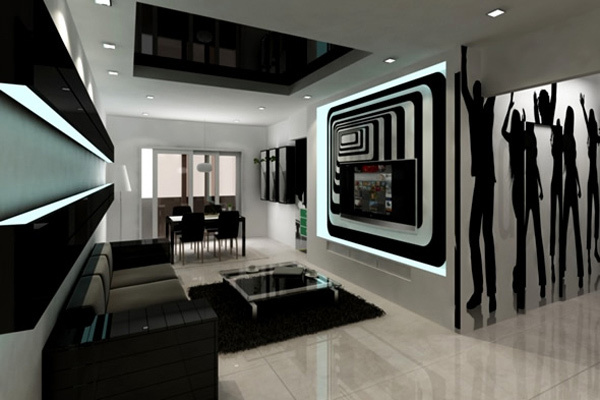 More to come in Home Design Lover!